It some respects I'm happier now we're in division 1, as it will give us chance to improve with the new players. 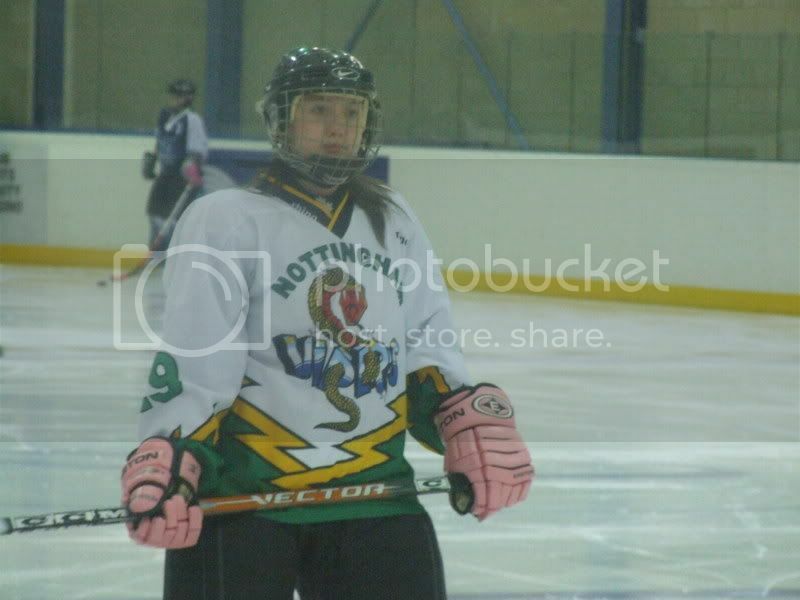 How do you mean you'll miss playing at the NIC? If there's anyone interested in playing next season, you can PM me and I'll give you some details. We have 2 teams this year, an over 16s and an under 16s due to the new ruling of adults and juniors mixing. I just meant that my team, the Streatham Storm won't be playing at the NIC, I'll miss it. Well, I won't be playing for a while as I've torn my medial ligament in my knee. I will be out for a couple of months minimum. Grrr... why me? Still, I'm glad I have a left knee. Hi thanks Rach, only just read the thread! Hope your knee's improved? Are you back playing yet? Just to keep you all updated we have a 100% win record so far this season.... after '2' games. First game we beat Flintshire 8-3 at home. Our second game which was due to make place at the NIC last Sunday had to be cancelled due to the opposition not being able to get enough players for the match. This is because of the new ruling that under 16's players can no longer play matches with over 16's. This has resulted in the Vipers having a senior and junior team this season. The junior Vipers beat Sheffield 4-1 in a friendly last weekend. Nothing better than beating anything sheffield orientated. We have a game on Sunday at home against Telford with a 7.30pm FO. We beat top of the league Telford 4-3. Was a close game though! Beat Flintshire away 4-1 tonight. How many points you on now Becky? The Vipers beat Peterborough 30-0 tonight. Didn't concede any then eh Becky? Well done girls, I'm really proud of you all!! Did you face any shots? How many shots then? 1? And yes Adam, a grand total of 4 lol! We had 69 shots on them. Hi I am new here.....I know this is an old thread but it seemed the easiest place to ask. Are the Vipers still running?? Their website says season 2010-11 across the top and I emailed ages ago and then again a week or so ago about playing etc but have had no response. If thye are, does anyone know any up to date contact details? or when they train?